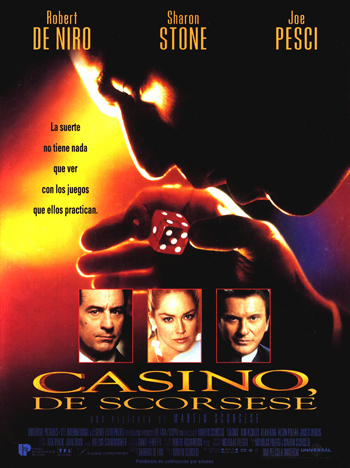 Did you know that the film ‘Casino’ was a true story adapted from a novel? If not, then I suggest that you watch this rather elaborate and pithy documentary made in 2002 that lasts for 50 minutes.Whereas if you do know this fact, why don't you watch it anyway? As it is a really good program to watch. Almost as good as the film in fact. This author-focused documentary chronicles the real life-tale of the award winning book and movie 'Casino'. Now to assist in conveying this rather thought provoking story, there is the man whom wrote the book, Nicholas Peleggi, the man that this story evolved round, Frank ‘Lefty’ Rosenthal, plus numerous pieces of stock footage, still photography, and re-enactments too. What now follows is a basic overly of this feature. THE AUTHOR: Noted author in the field of crime, Nicholas Peleggi, gained media notoriety after his collaboration with Martin Scorsese on the film, 'GoodFellas'. And do you know what? It was s good job that he did. Because not so long a this venture, he began to work on a new book based on the life and times of Las Vegas gambler, Frank Rosenthal. However, Frank only agreed to work with Nick, when he found out that ‘his story’ was going to be made into a film by the same director and actors whom helped develop ‘Goodfellas’. The rest is now history. THE GAMBLER: Frank ‘Lefty’ Rosenthal is a man who does not believes in luck, yet at the same time he has dedicated his entire life in predicting the results of sporting events. In fact, he became so good in this chosen task, that this lead him from Chicago, to Miami, and finally to Las Vegas, with the intent of furthering his own income, whilst also staying away from any ‘problems’ that this dubious profession brought along with it. Like the law and organised crime for example. In Las Vegas, Franks ‘frank’ forecasting gained him a good reputation, some good money, a good job in the casino, and a new wife too, called Geraldine McGee. THE GANGSTER: Mob hitman, Tony Spilotro, was a friend of Franks from his days in Chicago. But regrettably, when Tony had to leave Chicago due to a rather messy mob hit, he then decided to start a new life in Vegas using his old ways. Breaking and entering. Loan sharking. Blackmail. And ‘hits’ are just a few of the transgressions that Tony was a part of. Worse still, is that when he and Frank had a falling out due to his unscrupulous activities, he stated to have an affair with Franks drug addict wife as well, Geri. THE DOWNFALL: The beginning of the end for both Tony and Frank, began when the mob from back home started to question their loyalties. For Tony, it was due to him wanting to arrange his own organised crime syndicate in Vegas. Whereas for Frank, it was because he was shunned by the 'gaming commission', which goaded him to find some media fame as a local ‘talk show host’. Prudently, the FBI got involved with these proceedings, leaving death, barment, and jail time in it's wake. Now to be honest with you, I don't really know why, but I have always been a right sucker for crime-related documentaries. Since I was a kid I remember always sneakily clicking on the television set at night, just so I could catch a glimpse of one of those 'serial-killer' related serials. One time I remember watching one of these programs, and it intrigued me so much, that I walked round for days on end saying to people "Did you know that the film 'Goodfellas' was a based on a real story?". True. So as you can most probably imagine,'Casino - With Nicolas Pileggi', just can't do any wrong in my eyes, huh? You see, the first thing that is really great about this program, is that it is jam packed with a lot of information. Stuff about Nick, Frank, Geri, Tony, the mob, the movie, the story, the book, the evolution of Vegas, and much, much more . Heck, it's so full of facts and figures, that people who like this type of thing will go banana's over it. OK, I know that to certain people this type of a program may come across as a rather laborious affair (i.e. idiots). But from my rather lop-sided perspective, this feature is conveyed in such a clear and concise way, that I like to think of it as 'Casio - The Less Dramatic Version'. Please note, what I mean by this, is that this documentary does a number of things that presents all of this information in a very good light. For example: (1) I liked the way that Nick acts as a pseudo narrator to this piece, with his incites and elaborations really punchy and to the point. (2) I found that the re-enactments were very nice to watch, because they conveyed the sentiment without words but rather actions. (3) I enjoyed some of the real life footage and photos, as you could see who the people involved really were, as well as how they behaved. And (4) I liked Franks interview too, he seemed like a right Vegas character. 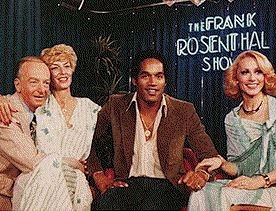 It is a shame that he is dead now, because I would have liked to have spoken to him [when you have the time, check out the late Franks website http://frankrosenthal.com]. Personally speaking, the only slight nag that I have with 'Casino - With Nicolas Pileggi', is that I would have liked to have seen a more complete film clip of Franks talk show (don’t worry, I have one above), as well as some interviews with people like De Niro, Scorsese, or even some spoken footage with Tony Spilotro. Still, apart from that though, this is great program to watch, and really does complement the film ‘Casino’ in ways that this movie was not able to do formally. Agreed Guys? Brilliant documentary – and a must see for all fans of true-crime and the film ‘Casino’.